Rebecca and I have a sweet friend, Lisa, who has taken high school students to an orphanage in Honduras the past few summers and is planning another trip in June. They have raised a good deal of money specifically for purchasing toys for the children to take down with them. Lisa is hoping to make the money stretch and asked for suggestions of where to shop. She would prefer one location, as she is taking students shopping with her. I know that there are a bunch of frugal mamas out there who would have some suggestions for her. Please leave a comment with where you would shop in town for inexpensive toys. I love shopping for inexpensive toys at Tj Maxx or Marshalls! I sent $1000 worth of toys to Fiji two years ago. I just went to Walmart, Target, FM, etc and talked with the manager. I explained what I was doing and asked if they would be willing to do a discount for me. Almost all of them said yes. Just ask. Also, I would be wary of anything soft or stuffed. When I sent the toys over there the person I was working with said that since they are very poor (it would be the same in an orphanage) things don’t get washed as well or as easily. 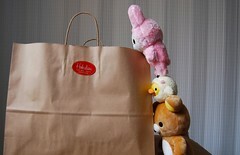 They have bedbugs and lice to deal with and having soft and stuffed things just encourages the breading of those things. If she wants to talk with me about it, she can email me. There’s an email address on my website. Post your request on Freecycle or through various groups you may belong to. Word of mouth can often supply a lot. Target has the $1 area and there is some pretty good stuff there. Regardless of where you go, it would be worth your while to give the manager a call and see if he is willing to offer some sort of discount. This works best in local, independent shops but I have also seen such things done on a corporate scale. You could hold a toy drive for new or like new toys. Maybe there’s a place of business that would sponsor it and the toy drive could be there for a weekend, with the high school kids setting up and manning a little booth. Another great idea is to raise cash, then buy toys in Honduras, thus helping their local economy in addition to providing toys to the orphanage. Also, often the orphanages (at least in Africa) are crammed with toys and clothes, but are really lacking in over-the-counter medicines, blankets, baby formula, etc. The orphanage can usually supply a list of what their greatest needs are. Target is having a summer toy sale through June 1 and has released a coupon booklet with it. Also Ross has some good toys for cheap sometimes. Another idea they do at my sons school (he goes to a christian school and the high school goes on a mission trip end of each year). They send a note home and ask you to check if you want to donate their school supplies at end of year, rather then take them home. Since there is so much left over they take loads of craft supplies with them on their trips. They might be used, but free and in good condition. when i went to africa, i bought toys and jewelry at dollar tree. it sounds like they wouldn’t be good enough, but they had stuffed animal dolls that the little girls loved! just look around for the good stuff.